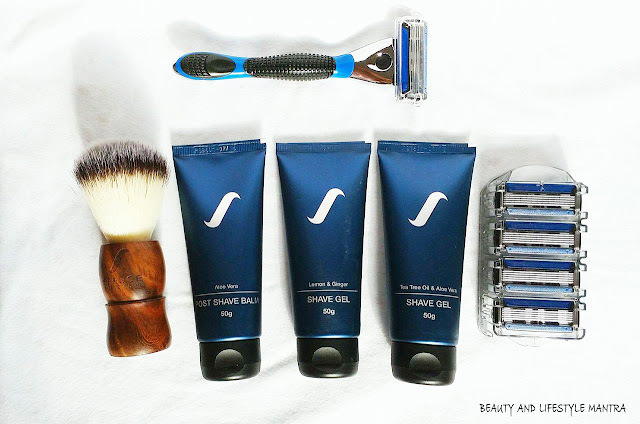 Today for the first time I am doing the review for men's products. I write this review on the basis of my husband's experience. Lemon and Ginger Shave Gel comes in a squeeze tube packaging. It's formulated with Lemon and Ginger that has antioxidant and antiseptic qualities. It does a great job of cleansing the skin properly. My husband has oily/combination skin and the gel really help to clean the skin and balance skin natural oil. It comes out quite thick and soft, smooth gel form. 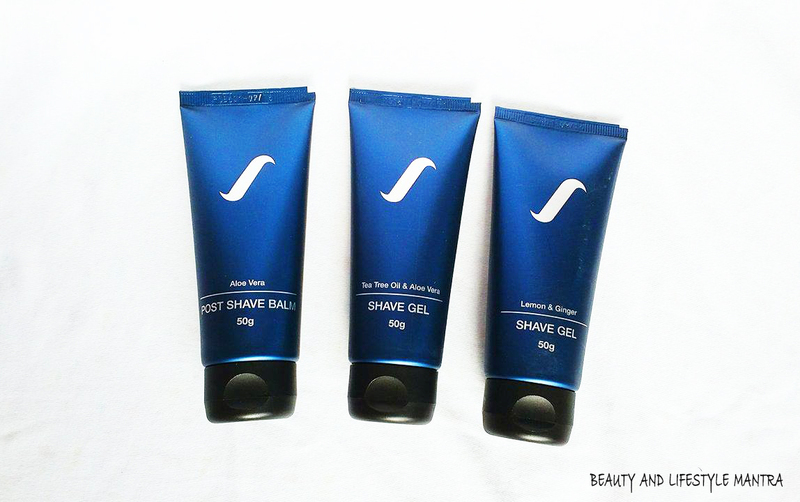 It has a very refreshing lime fragrance which is totally different from other shave gel available in the market. The only concern about this shave gel is you need a little more product to create a rich foam. This shave gel feels wonderfully light and refreshing on the skin. Its help to clean out impurities, leaving the skin clearer and smoother. I think this product might be a better option for those with more sensitive skin who want a very gentle shave gel. it's enriched with Tea Tree oil with its antiviral and anti-fungal qualities assists healing and prevents infections. The Aloe Vera has immense medicinal properties which help heal cuts and also hydrate, moisturize and rejuvenate the skin. It has also very light refreshing fragrance. This is an interesting balm which can be used post shave that protects the skin against razor burns and irritation. It balm has a very soft, creamy texture that hydrates, moisturizes and rejuvenates the skin. The balm is also enriched with Vitamin-E to maximize skin protection. The lemon flavor to this balm provides a little sensation on the skin. It does have a slightly oily/greasy feel to it when it's on the skin. The people of dry skin may not feel it. All three products are free from SLS & Paraben and they are NOT tested on animals. This Wooden base Shaving Brush looks elegant and stylish. This synthetic bristles brush perform better with Tea Tree Oil and Aloe Vera Shave Gel. The soft bristles generated a very good lather with a minute. That's the best part of the brush. To be honest, my husband loves this razor handle. Metallic finish with rubber strip on the razor makes it looks very stylish. The rubber strip provides a comfortable grip on the razor. On the other hand, each 5X Cartridge has 5 premium, sharp stainless steel, double coated blades that give the closest and most burn free shave. Loaded 5X Traveler Shaving Kit is very good gift option for men. Father’s day is right around the corner! And if you are looking for any gift for him then loaded 5X traveler shaving kit might be a good choice or you can select any two or three products as a gift from their shaving products range. Overall, Spruce Shave Club has introduced a very decent Shaving Kit for Men. They have a very good plan that according to your needs you can customize the products. That all the products come in a spacious & water resistant pouch made with durable waxed canvas fabric. Which I liked most! Highly recommend shaving kit. Seems to be a nice products for men. Very nicely reviewed. Very nice gifting option for men... Well written post.. It's really a nice shaving kit. Good Review overall.